A 3-day event targeting developers, cultural heritage professionals, designers, creative entrepreneurs, photographers and photo-amateurs. Learn how to tap the power of huge resources such as Europeana and Europeana Space, Flickr Commons and MediaWiki to build innovative apps re-using photographic heritage. Mix images from the past with smartphone selfies. Connect old and new generations by making apps bridging centuries. Develop web environments for teachers, educators and museum curators to bring true public access to photographic cultural heritage. Learn how to convert photo imagery to 3D-prints and new materials. During the Hackathon developers will have access to the vast public photographic heritage now available on resources such as Europeana (see the API’s at Europeana Labs), Wikipedia and Flickr, while at the same time having access through the Europeana Space API’s to copyright protected content to experiment with. Through the WITH environment API, users can login and user data can be stored together with the data from other sources. Also, The Blinkster app will be available and the JPSearch API. 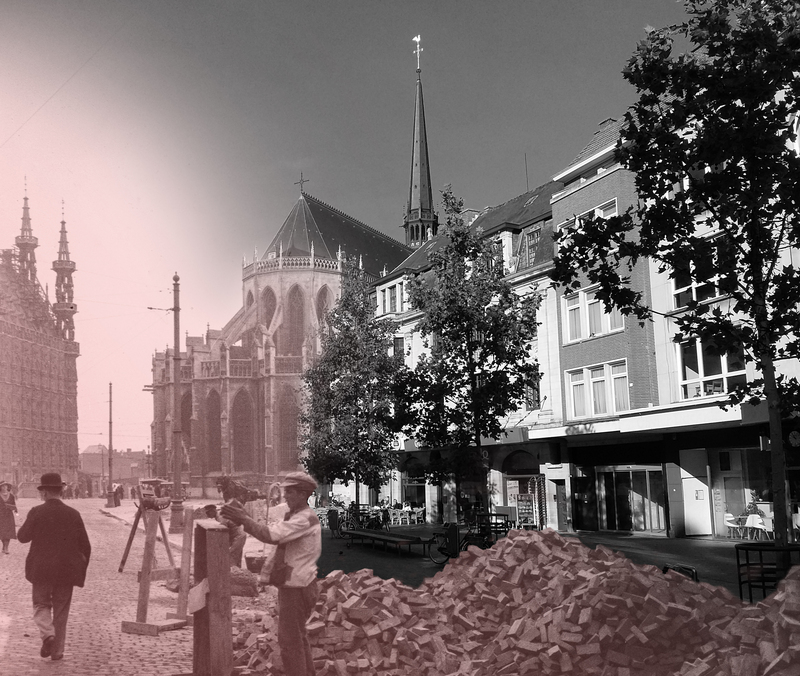 The Halvestraat in the early 20th century and today. The hackathon is made possible by the Open Access policies of sources such as Europeana, which are so important to develop new business models in GLAM. We will tap on the availability of Open source software; foreground code developed for the Hackathon is also to be licensed as Open source. Of course proprietary background could be used and the IP of the developers will be protected. For the Hackathon Programme and further information, www.europeana-space.eu/hackathons/photography. FabLab KU Leuven, Celestijnenlaan 300, 3001 Heverlee. 3D-printers, laser cutters and a small joinery will be available for use. 25, 26 and 27 February 2016. Register here to participate to the Hackathon. You can register as an individual, create a team or join an existing team. Join us to the pre-event on December the 3rd, 2015, in the Justus-Lipsius Room, Erasmushuis, Blijde-Inkomststraat 21, Leuven. Brickies assemble in the Fochplein, Leuven, c.1920, by Georges Monnoyer de Galland/Gustaaf Verriest, mixed with an image of Leuven today. Register here for the pre-event. 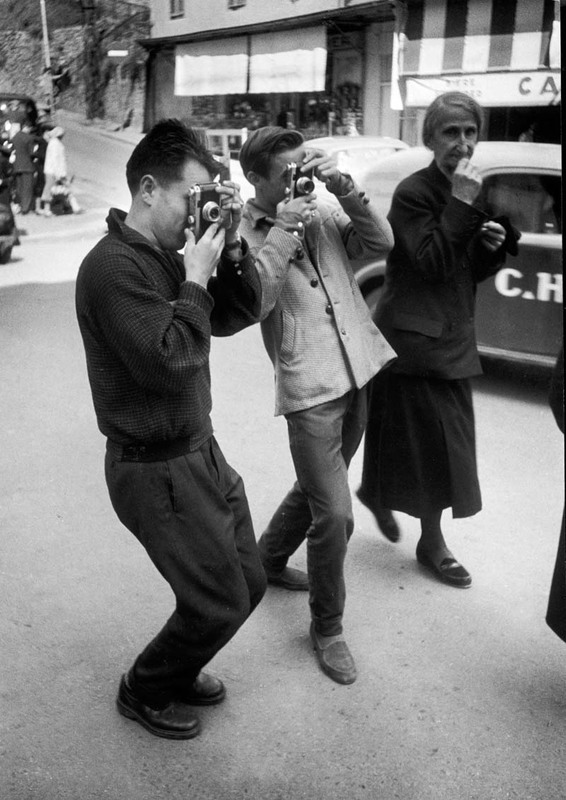 Images courtesy of United Archives, Fred Truyen, Leuven City Archive and Clarissa Colangelo. 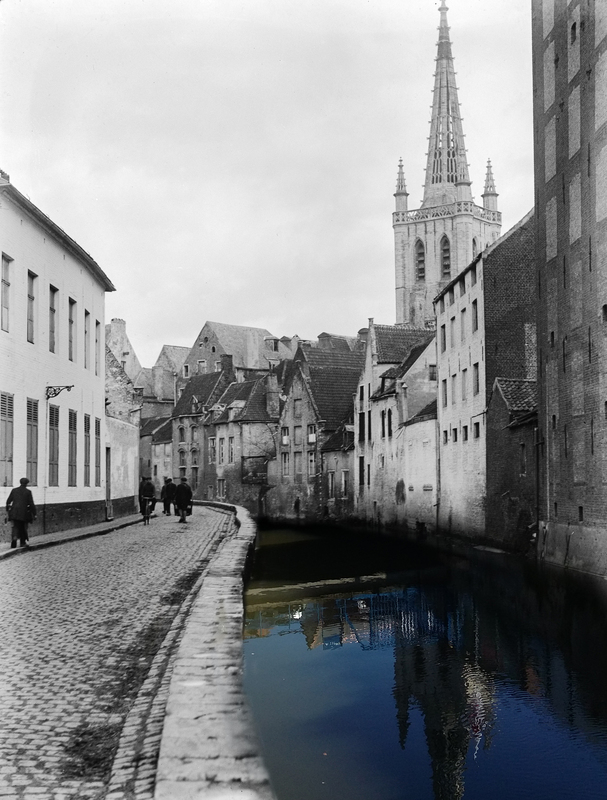 ← Have you ever wondered what Leuven looked like over a century ago?